Buying your first home is one of those moments that define the American Dream. It is also a roller coaster of emotions, both positive and negative. 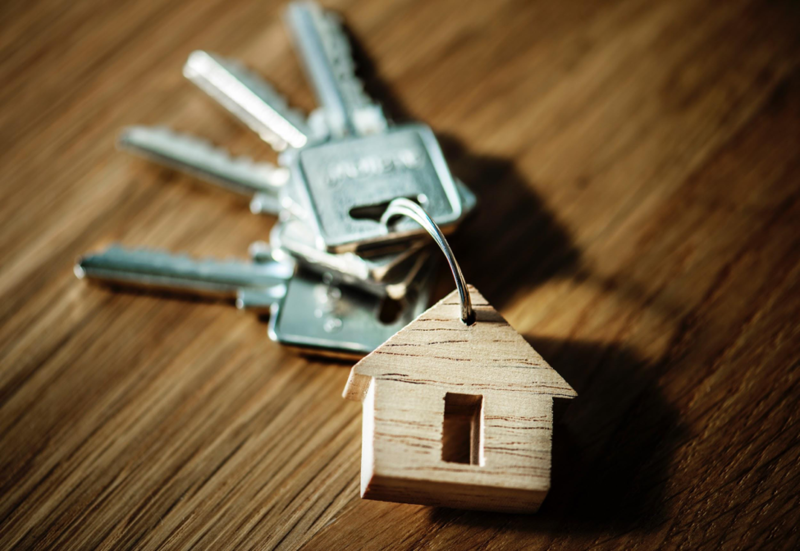 As excited first-time homebuyers may feel when looking at properties, there is an equal amount of tension when considering what an important financial milestone buying a house is. While you can’t prepare for everything, there are ways first-time homebuyers can make the experience simpler and more enjoyable overall. Cleaning out clutter is something everyone — not just first-time buyers — needs to do before they move. A common mistake people make is waiting to start sorting and getting rid of things too late. The earlier you start the process, the easier and more effective it will be. Start listing furniture on Craigslist, LetGo, or other local selling apps. Drop off clothes, small appliances, and other items in good condition at thrift shops and nonprofit charities that can use them. Any belongings you have that you’re not sure about getting rid of can go in an offsite storage unit — the average price for booking one in Shoreline, Washington during the past 180 days was as little as $134.40 — so they can be safe in a climate-controlled space. What’s more, you don’t have to worry about finding a way to fit them into your new home. Once you’re settled in your very first home, you can revisit these items and figure out your best course of action from there. To transport these items, you may need to rent a truck, which can run between $19.95 and $39.95 a day depending on the company and the size of the vehicle you need. If the de-cluttering process becomes a little too overwhelming, you could bring in an expert to help you out. Again, it’s going to cost a bit of money — roughly $40 to $50 an hour in some places — but it could be money very well spent. The internet has a lot of people thinking they can go the DIY-route for everything these days. However, don’t make the mistake of believing you’ll be able to charge forward into the first-time home buying experience solo. A professional real estate agent — preferably one whose niche is first-time buyers — will guide you every step of the way. Realtors save homebuyers time by searching out the listings that have the features they want while weeding out those that are a waste of time. Agents often know of the best homes that are about to be listed before they hit the market, so you can get the inside scoop on properties other buyers are not aware of. Real estate agents will accompany you when looking at houses, so you don’t have to worry about driving or navigating unfamiliar neighborhoods. Furthermore, realtors save you money by pointing out when properties are overpriced and helping you negotiate for a lower amount. Paying for your first home is the part of the process that can make it feel like your stomach is going to drop down through the floor. It’s scary putting down such a large amount of cash for the first time, but millions of people do it every day. An easy way to instill confidence into your decision is by getting pre-approved for your mortgage; however, pre-approval is not the same thing as being pre-qualified. Pre-qualification estimates about how much you’ll be able to spend on a home while pre-approval involves having a lender check your credit and verify your documentation before approving your specific loan amount. To be pre-approved, you have to provide proof of income, documentation of your various assets, and good credit. Once you are pre-approved, you are much more likely to have your offer accepted on the house you want. First-time home buying isn’t easy, but things in life that are worth the effort rarely are. Starting the decluttering process as early as possible makes things simpler when you’re in the weeds searching for properties and eventually moving. Don’t buy a home without help — an experienced real estate agent will save you both time and money. Finally, ensure you’re financially ready to buy a home by seeking pre-approval for your mortgage. Bio: As a retired banker, Jim hopes to use his knowledge to help people make sound financial decisions.